Our August meetup is tonight (8/12)! come to find a co-founder for your venture, meet some interesting entrepreneurs from Austin and have a beer with lots of techies and investors. This month’s meetup is sponsored by Capital Factory, they are providing the meeting space – thanks guys! Did you read Paul Graham’s latest essay yet? if you are currently fundraising or are planning to talk to investors you should read this! Paul basically says the following: Be formidable, tell the truth, know your market, know how to handlerejection, be consistent and don’t think or say different things to different investors. Read the complete essay here, it is well worth the 10 minutes. Also, if you are building a startup but are unsure about bootstrapping or to go after funding, I recommend you read this Q/A from Jason Cohen and a number of curious entrepreneurs held last week at inbound.org. While the Q/A session wasn’t specific about fundraising or bootstrapping, the first few answers were about fundraising and bootstrapping and should be useful if you are still trying to decide. The rest of the Q & A are very interesting as well! Did you know that in TheTechMap.com, the top 3 cities with the largest amount of tech companies are Austin, NYC and San Francisco? This is interesting as we have not promoted the site outside Austin, TX but it is already getting some traction in other cities and countries. Today, we have almost 1,000 companiesthat have been added to the site and almost 200 personal profiles. We continue making changes to the site and it is still in beta. Expect to see come cool and useful features coming soon such as private and public communication channel within the site, detailed member profiles and the ability to filter both companies and personal profiles by city. If you have any recommendations or feedback please let us know! Remember to add your event to our calendar if you want to see it listed here, this just another way to promote your event and it is 100% free. Also, if you are not from Austin, please do not hesitate to contact us regarding events or news from your city, The TechMap is slowly moving onto other cities and we already have hundred of startups and personal profiles from other cities and countries. We’ll be sharing more details about this soon. If you are looking for co-founders or want to join super-early-stage startups, this is the group to be in. Our goal is to organize face-to-face meetings. Everyone is welcome to our group! software engineers, designers, executives looking for a more exciting and challenging opportunity, angel investors and VCs looking for the next BIG thing in Austin, come join us! The Austin Web Developer Lunch – Meet up for some Tacos and Tech talk! Add it to our event’s page today! 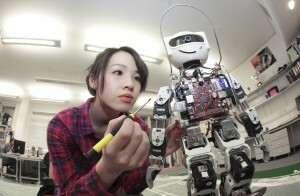 You too, can make your own robot, using Artoo, a micro-framework for robotics using the programming language Ruby. Mike Ford, a software engineer at Trion Worlds, spoke Monday night to a group of around 30 people at Austin RB meetup at Capital Factory about the Artoo technology and its uses in education. CSC, based in Falls Church, VA, has purchased Austin-basedInfochimps. 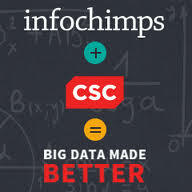 “Infochimps Inc., with offices in both Austin, TX and Silicon Valley, becomes a wholly-owned subsidiary, reporting into CSC’s Big Data and Analytics business unit led by Sashi Reddi, VP and GM,” according tothis blog post by Infochimps CEO Jim Kaskade. Infochimps has received $2.5 million in venture capital from the DFJ Mercury Fund, ff Venture Capital, Dundee Venture Capital and MFI Capital, according to its CrunchBase profile. Infochimps, which began as a data marketplace, provides data management products to companies. How do you make your student housing appealing to the new, always-connected, high speed Internet generation? If you’re student housing provider American Campus Communities, you provide one Gigabit Internet service to your student housing. The company, which manages student housing across the U.S., said this week that it will offer the one Gigabit speed of access to The Callaway House Austin, an off campus community serving students at UT Austin. The company said it is tapping Austin Internet company CampusConnect to provide the high speed access, which the company said is 100 times faster than the average cable Internet in American households. The connection speed is comparable to Google’s big project to bring one gigabit fiber connectivity into certain markets. Superconductor Technologies Inc. raised $10.9 million with its previously announced public offering of common stock and warrants. The Austin-based company issued 5.7 million shares of common stock and 954,001 shares subject to pre-funded warrants with an exercise price of 1 cent each, officials said Friday. In addition, STI issued 6.6 million five-year warrants and 3.3 million two-year warrants with a $2.57 exercise price. STI (Nasdaq: SCON), founded in 1987, develops high temperature superconducting materials and other technologies. It employs about 80 workers. Central Texas Angel Network invested $4.7 million in startups by midyear — putting it on pace to top last year’s record level of investing. 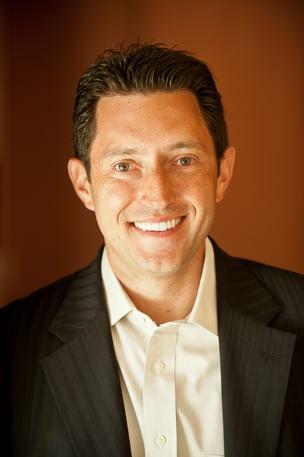 The Austin-based angel investment group is more than $1 million ahead of last year’s midyear total. It has completed 10 new investments worth $2.8 million and 12 follow-on investments worth $1.9 million, Executive Director Jeff Harbach said Thursday. Last year, CTAN invested about $8 million — the largest annual amount since the group was established in 2006 and a 37 percent increase in investment versus the previous year. CTAN’s membership includes more than 100 investors. Michael Dell issued an eight-paragraph letter to workers Thursday that recapped the Dell Inc. shareholder buyout and restated his plans. The open letter was emailed to Dell employees and filed with the U.S. Securities and Exchange Commission on Thursday afternoon. 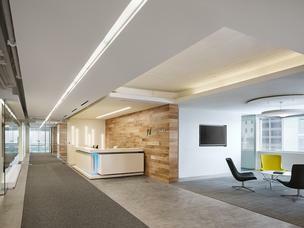 Zilliant Inc. engaged architectural firm Gensler Inc. to come up with some brilliant design ideas for its new space in the Perry Brooks Tower, 720 Brazos St. in downtown Austin. Clearly, it was a challenge. A good part of the 24,200 square feet that the software developer leased for its 80-plus employees was a dark, gray, vacant garage with prominent rows of concrete pillars. The large floorplate allowed for an expansive floorplan, but Gensler designers created a variety of intimate spaces — dubbed “huddle rooms” — for various functions. An Austin startup is in the final days of raising capital to fund a wireless smartphone charger but it’s starting to look bleak. Cell Innovations LLC is less than 20 percent toward its goal of raising $150,000 on crowdfunding website Kickstarter to pay for the production of Synergy, a wireless smartphone charger. The device, which is in a cast-metal body that comes in five colors, includes a 1.5 pound tabletop base and a portable base for vehicles. Several major retailers already carry wireless chargers but Cell Innovations makes its case for why it’s better in its video pitch to Kickstarter visitors. When Sara Gates began raising venture capital for her Austin software startup this year, she was surprised by how investors reacted. Gates raised $3 million for her company, Wisegate, which helps technology managers exchange information. But she said she wonders if her gender made the process more challenging. The dearth of women in technology fields is hardly a new thing. Like most technology hubs, in Austin it’s still very much the exception to see venture-backed startups that are led by women. But in that long-term problem, there could actually be a window of opportunity for the Austin tech scene, experts say. Austin could strengthen its technology economy by making itself a magnet for women-led tech startups, they say. For Austin, drawing more female talent into tech fields can impact not just the bottom line for individual companies, but for the region’s wider tech scene and for the area’s overall economy, said Brian Kelsey, an Austin economic development consultant and lecturer at the University of Texas. 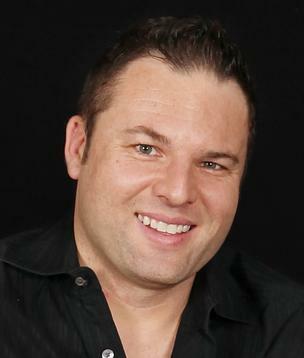 Mr. Borge was born in April 1977, he is the CEO of Texas Capital Real Estate, LLC. texascre.com Real Estate Investing firm. This is where he does all his real estate investing. He work with local investor to find deals as well as partners up to obtain a good Return of Investment for their money. He has Launch several businesses example.